Getting an education these days can be quite expensive. We all have a course or degree we want to pursue. Unfortunately, due to the expensive nature of traditional courses, we cannot always get the course we want to take. The good news is that you do not have to delay taking the course you want just because you cannot enroll in a prestigious school. You can opt for an online course and level up your career. Online courses have opened up great opportunities to learn even without attending formal school. In this article, we shall take a look at the benefits of taking online education resources. In traditional schools, there are strict requirements for enrolling in the course that you desire. With an online course, on the other hand, you can take any course even if it is not related to your future profession. An advantage of online education is that you can take the course at the comforts of your home so you do not have to travel. With a little research, you can find an online course or degree program that you desire. With online courses, you do not have to worry about attending classes for several hours. All lectures and materials are located on an online platform so that you can easily access them from the comfort of your home. You do not have to ride a public transportation just to get to the school where you are enrolled. However, make sure that you do not get too comfortable. Have a place where you can work such as in a dedicated room but not in your couch. 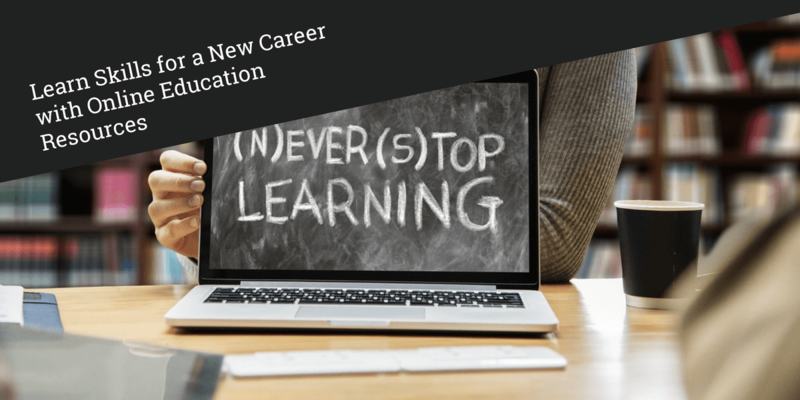 Even if your career is on a standstill and you find yourself stuck on what career path to follow, online courses will make a great addition to your resume. Hiring managers consider online and traditional degrees as equal weight. It does not matter whether you took a degree on a traditional or online school, your future employer will not consider online degrees as inferior to the traditional. Most online courses are self-paced. This means that the time line for finishing the course will be totally up to you. You can choose an online course that meets your individual needs. With online courses, you can access the materials during the time that best suits you. You do not have to attend live sessions. For example, you can take night classes so you can do other stuff in the morning. Compared to taking courses on a traditional school, the fees involved in online education programs is cheaper than those in prestigious colleges or universities. If you are lucky, you may be able to find online courses that are completely free of charge. While free courses do not offer certification, you can still use them for whatever you may deem fit. As mentioned above, you can take an online course at your most preferred time. However, there are courses that synchronously conducted which means that students are required to attend at a specific hour. For in-person lab or internship requirements, students can set it up with local facilities sfor their preferred time. Some traditional schools have a specialization so the course you are planning to take may not be offered there. With online courses, you may be able to choose from different course offerings. Chances are you may even find certifications in an online school. Compared to traditional schools, you may be able to find online courses that have a lesser cost per credit hours. If you have children, you can take care of them yourself saving you additional costs for childcare. Online courses give you an opportunity to build professional skills. Since you will be taking the course without any supervision from a professor, you can learn and develop important life skills such as time management or learn skills that may prove useful to them in their future careers. These are just some of the benefits that you can derive from online education resources. You can pursue an online course that is perfect for your professional career. David A. Buhr has over fifteen years of experience in the field of Education. He specializes writing articles on Education-related topics.